Built to take a beating and keep on shooting. Completely original and innovative, the Nova Pump incorporates its polymer stock and lightweight receiver into a single unit for unsurpassed strength and weather resistance. 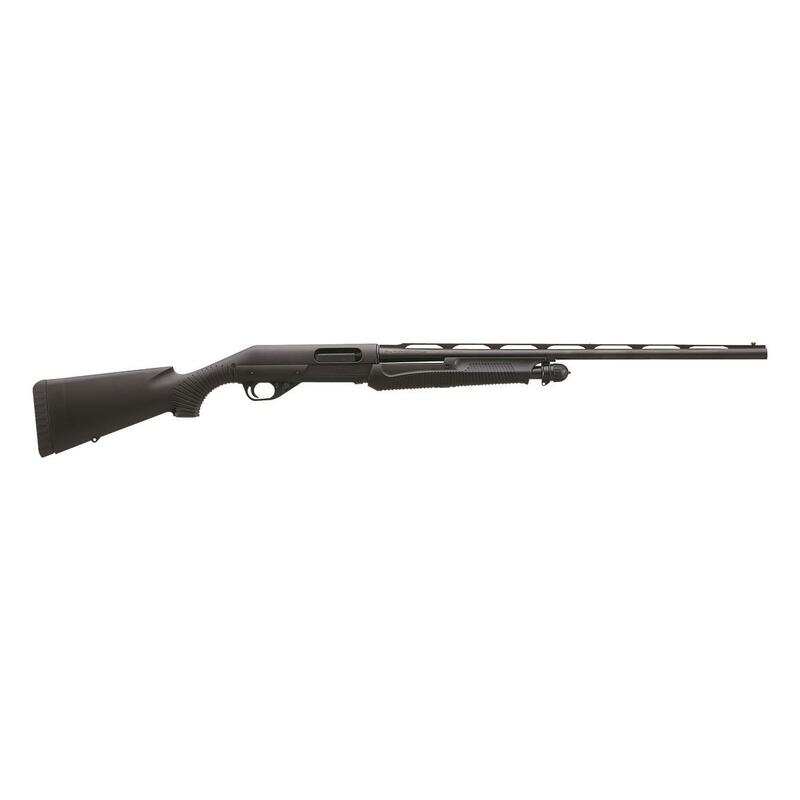 Inside, dual action bars and rotary head locking lugs deliver smooth action and signature Benelli reliability in all conditions. Whether it’s bouncing around in the soggy bottom of a duck boat or taking a dip in the marsh muck, it’ll come up shooting. While its steel skeletal framework and overmolded polymer shell may be Spartan, the Nova is anything but bare-bones. A handful of nice features give it an edge over comparable pump guns. The first and most interesting is the push-button shell stop. A button on the underside of the forend activates a shell stop, letting you remove a chambered round without releasing rounds from the magazine. The Nova also features an enlarged trigger guard that accommodates gloves, so it’s a little more winter-friendly than others. Rounding out the package are a mid bead and fiber optic red front sight that helps you confirm a flat sight plane.